In India almost in every month there comes some festival to celebrate. Maharastra and other parts of India is now celebrating Ganesh Chaturthi. Lord Ganesh is son of Lord Durga and Lord Shiv. He is the symbol of prosperity and he has the power to fulfill your wish as I know from my grandmother. I once attended this festival in Pune. I love the way they arrange everything and specially the ARATI. I have a small Ganesh at home so I just made some sweets to please him. Wish all my friends a happy Ganesh Chaturthi. I made some CHANAR JALEBI which is an authentic sweet dish of Bengal. 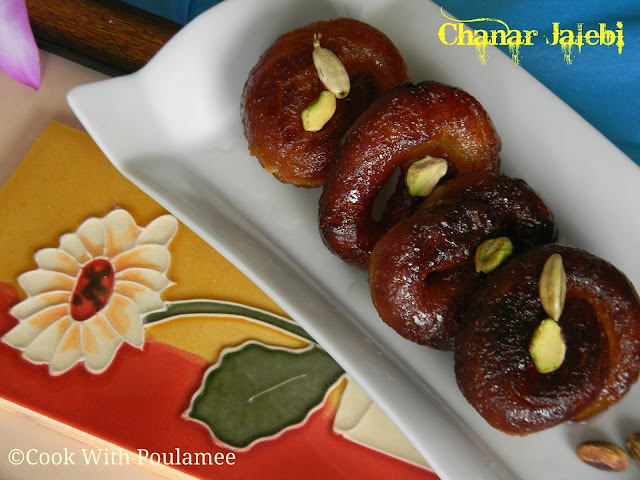 A very easy and tasty sweet dish to celebrate this auspicious day of GANESH CHATURTHI. 3.Baking Powder: 1 tea spoon. In a heavy bottomed vessel add the water and sugar and start making the sugar syrup. After its start boiling add the cardamom seeds. Boil it in high heat for 7 to 8 mints now remove from heat and allow it to cool. 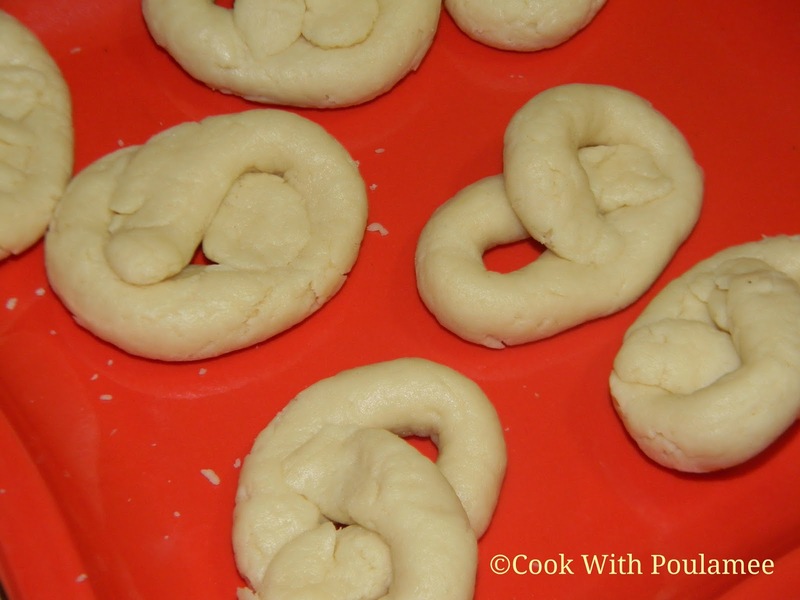 Now in a bowl add the milk powder, flour and the baking powder and whisked together now add the ghee and mix well. 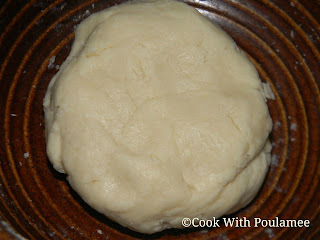 Now slowly add the cream and make soft dough. Now make 12 to 14 balls with the dough. Take each ball and start rolling it with two of your hand and make a long rope. Now take one corner and join in middle and same way take the other end and twist it like a pretzel shape , or as shown in the picture. Repeat the same with all the balls. 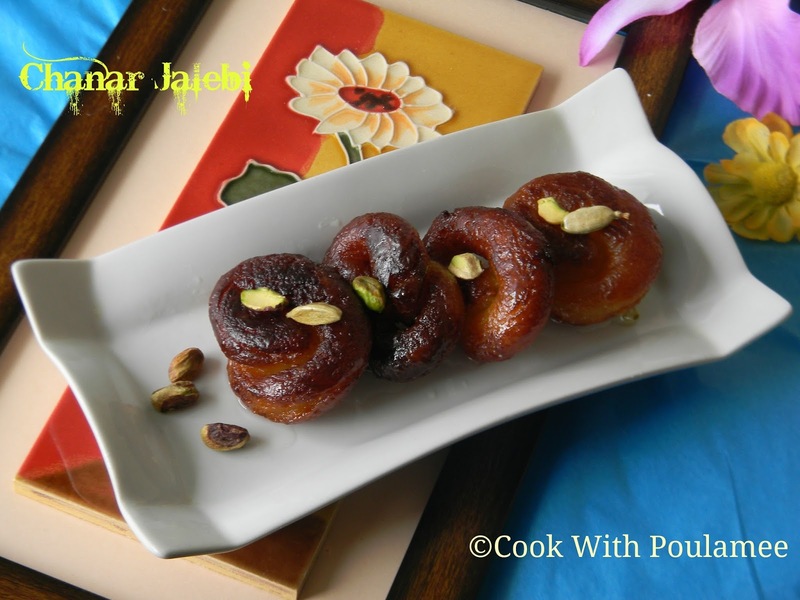 Now add oil in karai, deep fry the CHANAR JALEBI’S in low heat till both the sides turn brownish. Remove from heat. Now soak the fried CHANAR JALEBI’S into the sugar syrup. 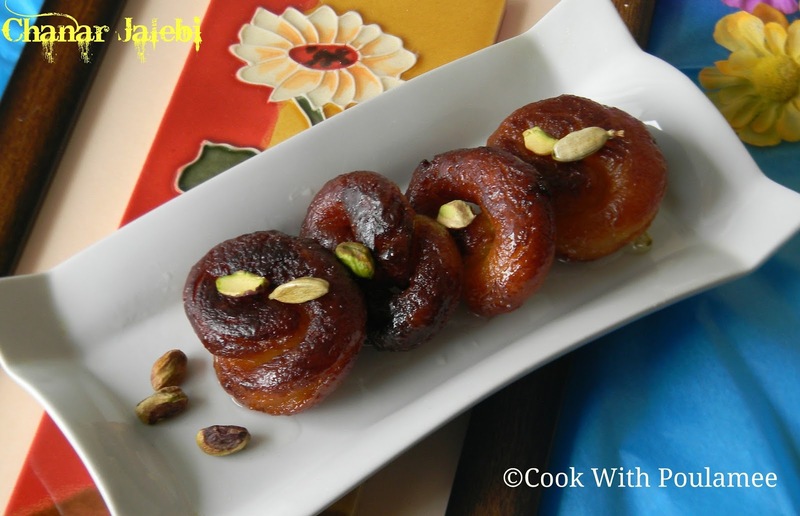 Garnish them with few pistachios enjoy this lovely dish with your family. Come into the Kanwarjis Sweet shop a variety of colours, textures and shapes. 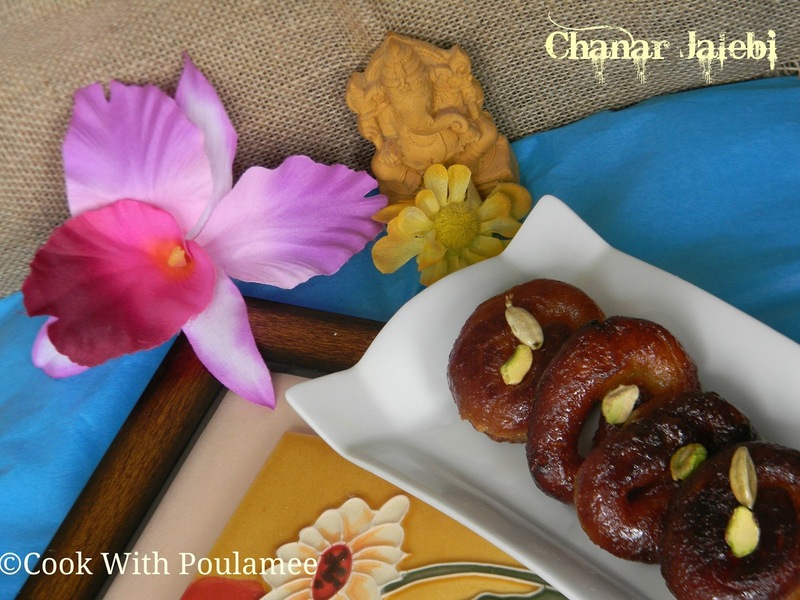 Each sweet has its own identity in indian Sweets and Bengali Sweets in Delhi. If you want to buy any snacks of Delhi and Best Snacks in Delhi/NCR, Choose from the kanwarjis sweet shop. It's the baes of all indian sweets. Thanks It's really amazing news. I love to eat snacks in rain. Thanks for sharing with us great blog.